I LOVE hummus, but I always put tahini in mine(though I couldn’t find tahini, so I actually just bought seasame seeds and made it myself). Also, did you know you can grow your own sprouts? It’s super easy! I actually grow them in a mason jar because i LOVE them also, but hate spending money on them. Stunning photos! I wish mine would come out that good. I think it’s my camera that’s limiting me. 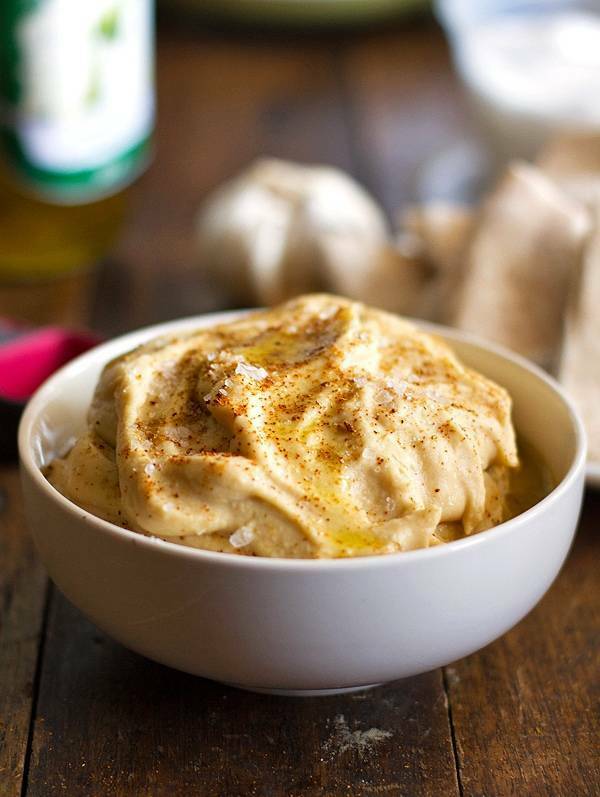 Anyways…I absolutely love garlic hummus and will definitely give this recipe a shot. I always (usually) prefer homemade over store-bought. It’s been only in the 60’s and lower here in Pennsylvania! I can’t imagine the heat you must be facing in the Philippines. I’m totally going to have to try this. And it doesn’t have tahini in it which is amazing. Stupid soybean allergy. Once I made hummus and I did not chop the garlic like I should have, I just chucked it in the food processor. Eating a whole clove of garlic at once is a very bad idea. Just saying. 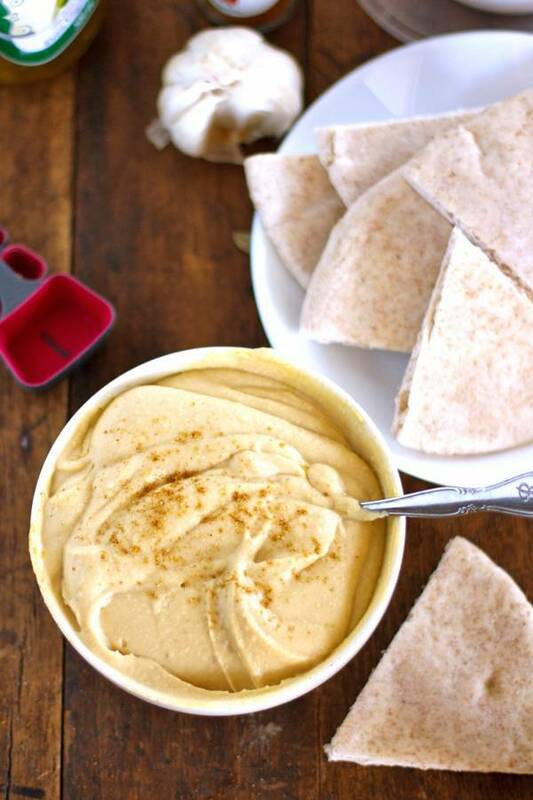 Why have I never made my own hummus? There’s no good reason. I’m doing this! Keep up the awesome recipes!! And this is Jamie R.
Ha. Nothing too special… just a typical wet mop. I’m pretty excited about this recipe because I can’t EVER find tahini sort of anything out here in the middle-of-no-ethnic-food-where so I really need hummus but I never feel like I can make it!! And my hair looks like that all the time. Except it’s super long and never dries and is really curly so I have this half wet/half dry thing going on with my head and all these weird fly aways. Also it’s not hot here, so I have really no excuse. I peel the skins, too! So much better. 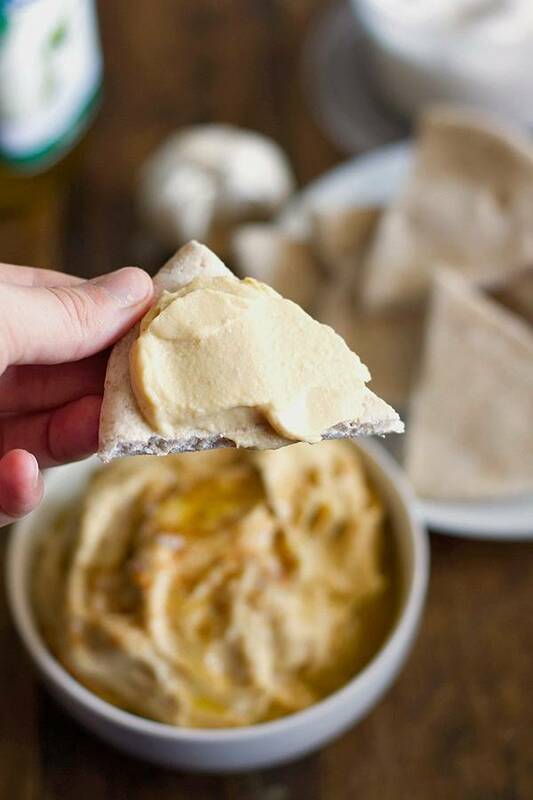 I LOVE homemade hummus. It is so easy and once you try it, it’s hard to go back to the storebought variety. I never thought to add water, but I do use tahini and who knew you had to peel the skins?! ..love homemade hummus, too. i like the dash of salt on mine, too. My new favourite is fleur de sel, it’s gorgeous on food, just a pinch, ..of yum! 😉 P.S. What is the blender you use, it’s so cool! ? I have never spent the time to peel the skins off of the chickpeas, but I just may have to do that next time for the that silky texture. Nice photos by the way as well. I’ve always prided myself on my hummus recipe (it’s my go-to party snack contribution), but never even thought to peel the skins! I tried it last night with fantastic results, and now I have achieved the taste AND texture of restaurant hummus. Love your blog, Lindsay! That’s some patience you have for peeling the chickpeas. I wonder what those skins could be used for? Chicken feed perhaps? Peel the skin off the chickpeas! I will remember this next time I make hummus, great tip! And I have added more garlic than necessary in the past to my hummus, it, um, certainly does stay with you! LOL. 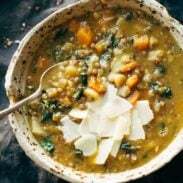 I am excited to try this recipe! I am going to try it in my vitamix it should take care of the skins. You might want to google vitamix – for me it was love at first sight 🙂 It is pretty powerful, I drank a raw beet the other day! Going to go look around the rest of your site! I have to make hummus at my elementary school. I am the head cook. Well needless to say, I don’t have time to peel the chickpeas, but it comes out pretty good, and the students like it. I do add a little lemon juice and parsley along with the garlic and oil and salt. I beat it in the kitchen aid food processor for an extended period of time. I will however try your version at home. Thanks for the tip.